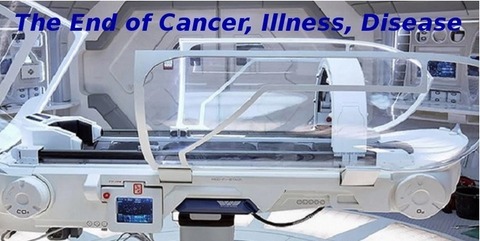 Writer’s Note: Med Bed technology has been “suppressed” and hidden from the public for a long, long time. Fortunately, due to the planetary shift from 3D to 5D happening at this time, and the increasing demand for transparency by the human collective consciousness, an increasing number of courageous people are coming forward to disclose what they know has been hidden for decades, even centuries, and most likely for thousands of years. Two of these courageous souls are Ileana the Star Traveler (her internet name) and Jared Rand.Ileana wrote the information on the Holographic Medical Pods from her personal experiences as a Secret Space Program Asset on Mars. Her information is posted in the second-half of this article. Jared is a highly intelligent and knowledgeable man who has been working with the global transition for decades, and has information about many topics the general public is not aware of, including but not limited to, off-world ET technology gifts to humanity like the Quantum Financial Computer System, Anti-Gravity Propulsion, Replicators and Med Beds. “This is the new age for the new Earth and new human race. It’s totally the opposite of what we’ve lived. These technologies are already here. It’s a matter of getting them safely – SAFELY – to the people that can use them.” Currently (March 2019), the Med Beds are not available to the general public, but hopefully this will change in the very near future. Captain Randy Cramer USMC is attempting to manufacture and distribute Med Beds. You can follow his progress at his website: Click Here for – Earth Citizen Consulting. 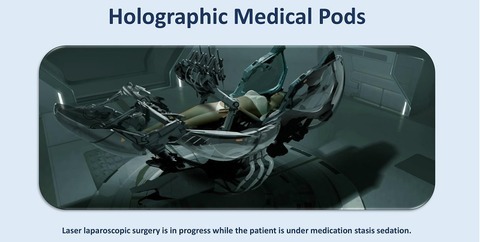 Ileana the Star Traveler wrote the following information on the Holographic Medical Pods. She obtained the information by using a unique method “hypnosis regression memories” whereby Ileana was able to verify the information did indeed come from the Secret Space Program by seeing the holographic medical pods during her tenure as a Secret Space Program Asset on Mars. The information is available in a PDF free download – see Resources at the end of this article.Ileana hosts the Awakening Cosmic Reality Show on YouTube – an interview program covering topics such as spirituality, ET contact, healing modalities, awakening and the ascension process. She has published many fascinating stories of her galactic travels at her website, and also channels benevolent star nation beings, spiritual guides, and her Higher Self. She has the ability to astral travel, conduct remote viewing, and work in the Akashic Records. She has obtained much knowledge from her past lives as a star traveler living out in space. Captain Randy Cramer USMC – Earth Citizen Consulting – attempting to manufacture and distribute Med Beds.